We are starting to discover that an ideal sleeping environment is more than just the mattress. The pillows, sheets and even room temperature all play important roles in our sleep. 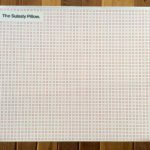 We recently received two types of Suissly pillows to try out (they were free, but our opinions in this post are our own). 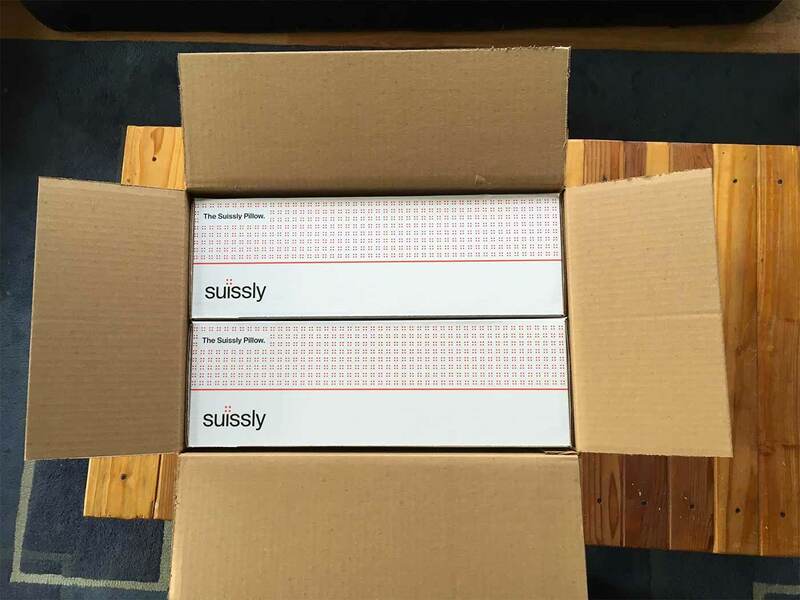 Suissly offers both a medium soft and medium firm, in a jumbo or king-size. 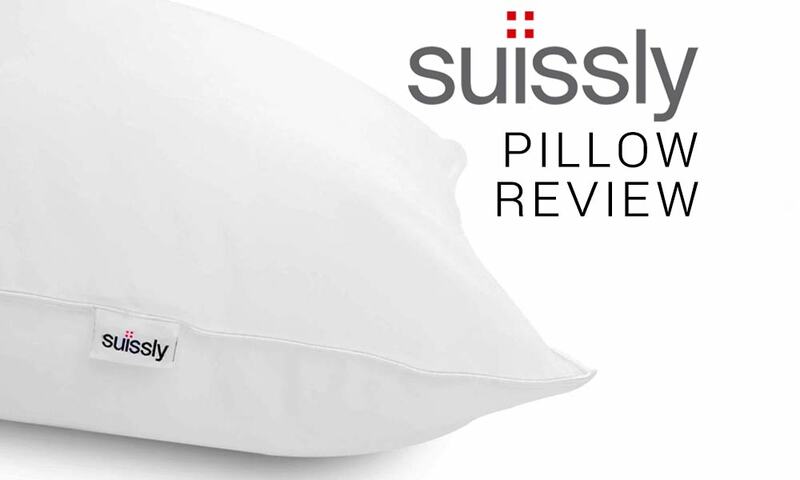 Find out how these pillows helped our night in the Suissly Pillow Review. Some background about me: I’m a pretty fussy pillow person. As in, when I go to a hotel, I often have to cycle through all of their pillow options before finally settling on something that will “be ok I guess”. And if it’s possible, I’ll even bring my pillow from home when I travel. So that said, I’m always on the hunt for a better pillow. Until now, I’ve been using the free pillow I got with my purchase of the Love Bed Mattress, which has been pretty good. But it’s getting lumpy. When I received these two Suissly pillows I was pretty excited. The first night I gave the Firm version a try, and found it was too thick and firm for my liking. It might be a good pillow for you if you like to be a little bit propped up when you’re sleeping. But I’m all about a soft, thinner pillow that still holds its shape. Cue: The Medium Soft pillow. The first moment I lay my head on this baby I knew I’d finally found my dream pillow. I’m serious, it feels amazing. 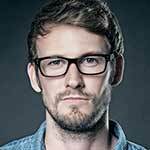 I slept so well that first night, and was wondering if I would keep sleeping well once used to the change. But we’re now on week 3 of the pillow experiment, and I am never looking back. I may buy one or two spares just in case they ever retire this style in the future. Seriously, give it a try (if you like soft pillows that hold their shape). 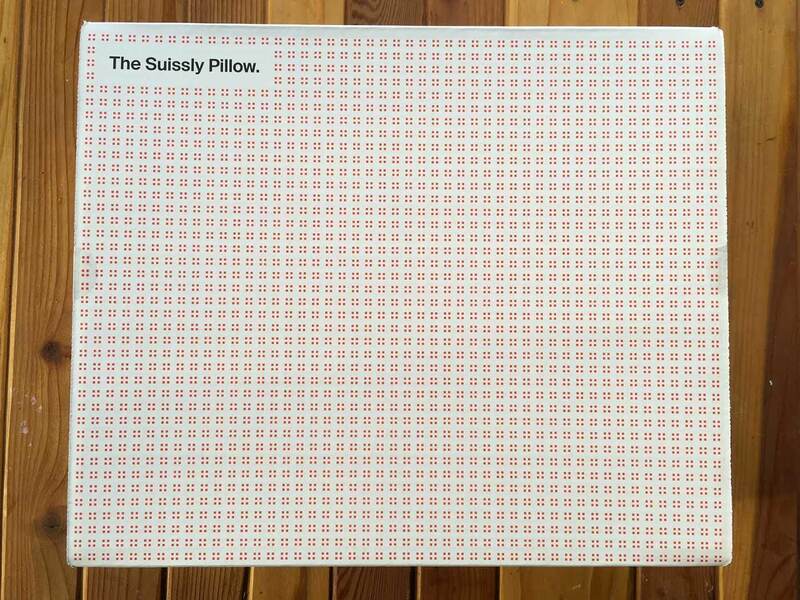 The Suissly medium soft is now the pillow we use to sleep. That says a lot since we try a ton of pillows. These pillows have held their shape really well. 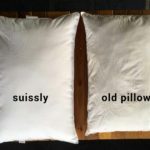 The Suissly pillows are ideal for customers who know what they want. If you have tried a bunch of pillows, you may be happy spending a little more to get things right. The inside of the Suissly is Hypo-allergenic microfiber with different density levels for the soft or firm. 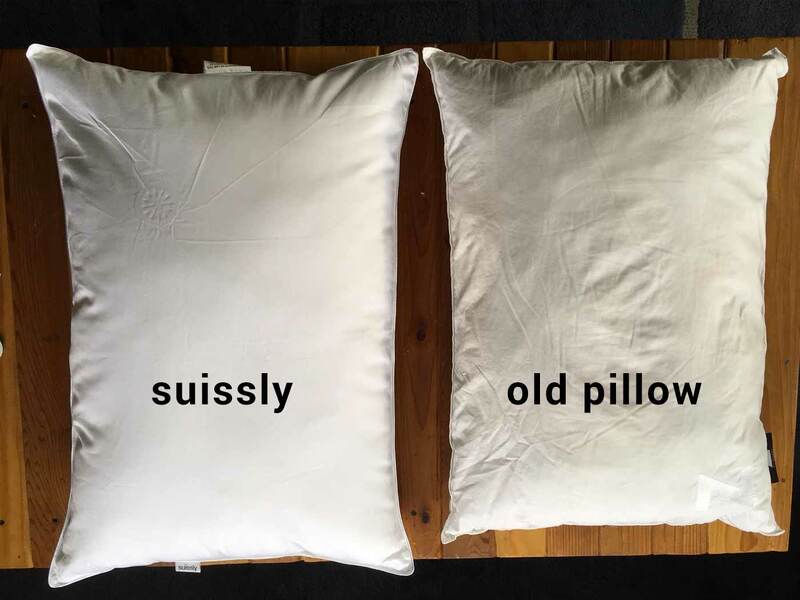 Customers will spend around $70 for the Suissly Pillows. They are on the expensive side but seem worth the price. We spend 1/3 of our lives in bed, so make sure it is a good one. 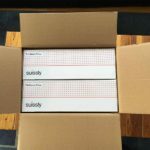 We are working with Suissly to get our readers 10% off their entire order. Use coupon code TOPDOWN at checkout to get the discount applied to your cart. I wasn’t a fan of the Firm pillow, but the Medium Soft pillow is now my best friend. It’s perfect for back or side sleepers who like soft pillows that still retain their shape. Points only docked because of price (but I still think it’s worth it).